Can Apple Once Again Launch A Smaller iPhone in 2017 Or Later ? Home Technology Can Apple Once Again Launch A Smaller iPhone in 2017 Or Later? Can Apple Once Again Launch A Smaller iPhone in 2017 Or Later? iPhone has come a long way since its introduction in 2007. In 10 years almost every aspect of its functionality, looks and market position has changed. Not only it has got smarter and more beautiful than ever, but also bigger and less of a market leader than it used to be. While some of these changes are absolutely great, others are not as pleasant. For example, while iPhone continues to remain one of the most sold smartphones in the world, its unchallenged position is gone since long. If Apple has to retain the position of market leader in smartphone segment, it needs to break free from the traditions that were enforced by its late founder and Former CEO Steve Jobs. Tim cook understands that very well, which is probably the reason why we’ve super-sized iPhones from Apple that Jobs would not have allowed to be built. 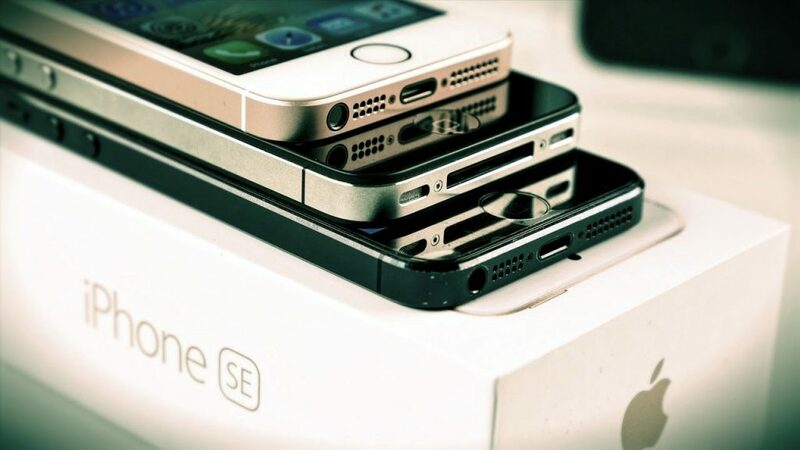 And while these bigger iPhones are better than their predecessors in all ways, the debate about their size started once again when company last year launched its iPhone SE with a 4-inch display. Specs-wise iPhone SE had pretty much everything that one can expect from a latest generation iPhone. It was equivalent of iPhone 6S in terms of specs. However, its smaller form factor was the thing that differentiated it in a market filled entirely with devices larger than 5-inches. Phone sizes have always remained rational at Apple. It’s an unwritten rule which has been followed ever since the era of Steve Jobs, who was very good at ergonomics. He’d definitely have cringed upon smartphones as large as the ones that we use today, as they make single-handed operation very difficult (and that applies to latest iPhones too). Besides that they’re also difficult to fit in the pockets. So ergonomics is arguably the first reason why Apple may want to make a smaller iPhone. Due to ergonomic reasons mentioned above there’s also a quite sizable market for smartphones with display size of around 4-inches. There’re still a lot of people who don’t like a phone that covers their entire face when held against the ear – yes, they do exist even in this age! When Apple launched iPhone SE last year, it had told that company sold 30 million 4-inch iPhones in 2015 alone. While this is just 13 percent of more than 230 million overall iPhone shipments during the same year, it’s still not as tiny of a market as most people expect it to be. Therefore, it certainly makes sense for Apple to periodically refresh its products for this market. There’s also a reasonable demand for cheaper iPhones in emerging markets, which has resulted in a full-fledged economy of second hand or refurbished iPhones. Now, while Apple doesn’t make products specific to any particular country’s market, it can certainly make products that’re available worldwide at slightly affordable prices. In fact, it must do so, because gone are the days when Apple was certain about its iPhone success story. The shipments are not growing on a quarter to quarter basis now, as company’s unchallenged position has been threatened by Samsung and others. In such a situation, it makes sense to capture users from every possible market (including emerging ones). iPhone is unarguably the most successful product line of Apple. It generates almost two-thirds of company’s revenues, and someday for some reason if that single product line is blown, the company’s fortunes may take a hit. In such a condition doesn’t it make sense for Apple to diversify its most successful product line? It certainly does. While Steve Jobs would never have allowed as many iPhone models in the market as available today, the story once again comes to the same scenario: things have changed now! The unchallenged dominant position is now gone, and therefore Apple must take steps to protect its cash cow. That may also have been one of the reasons behind iPhone SE’s launch. Finally, things have also changed in one more way – the smartphone displays are getting bezel-less now. If Apple makes all future iPhones with bezel-less displays, it’s quite possible to pack a 4.5 or even 5-inch display in an iPhone as large as iPhone SE. That also makes making smaller iPhones more logical for the company, as it’ll now be able to pack a bigger displays in them without increasing their physical size. So can we see a smaller iPhone in 2017 or later? There’s a very good chance as Apple has at least 5 solid reasons to make it. Rest is, of course, up to them. Really not a fan of the size of this new iPhone. While yeah I’d love to see a bigger screen, I think they will be missing a trick with the smaller phone footprint.